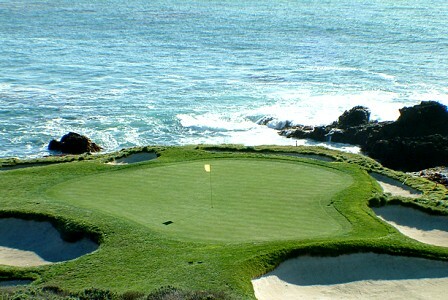 Links At Spanish Bay, The, is a Resort, 18 hole golf course located in Pebble Beach, California. 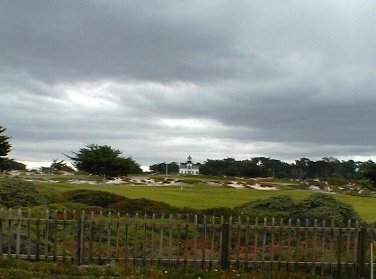 The Links At Spanish Bay golf course first opened for play in 1987. The par-72 course was designed by Robert Trent Jones Jr., Tom Watson and Sandy Tatum. 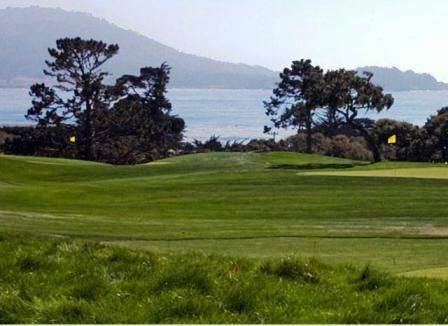 Spanish Bay mirrors the original Scottish concept of the game golf. This is a true links golf course. Links is an old Scottish word for sandy wasteland, usually near the sea, with bristly grasses and ever prevailing wind. The Links at Spanish Bay are authentic, even the Monterey coastline mirrors the rugged, natural beauty of Scotland. 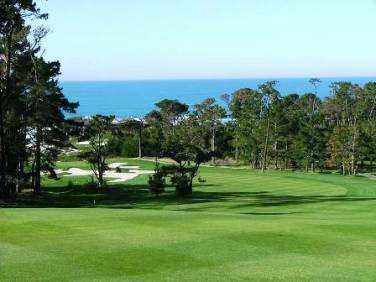 The golf course provides you with the choice of using your regular shot or a low, running shot to play the firm turf while keeping the ball under the steady ocean breezes. The Links at Spanish Bay has both a chipping area and putting greens, but no driving range for warm up. 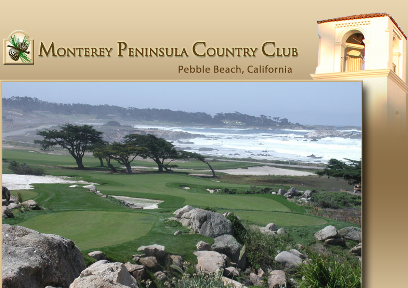 The course is located at The Inn at Spanish Bay, off 17-Mile Drive near the Pacific Grove Gate. 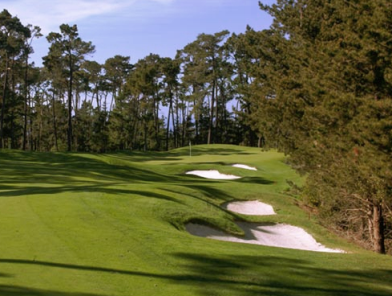 The Links At Spanish Bay golf course plays to a maximum distance of 6,822 yards for a course rating of 74.2 and it has a slope rating of 142. Blue tees: 6,821 yards, course rating 74.2, slope rating 142. Gold tees: 6,422 yards, course rating 72.1, slope rating 136. White tees: 6,043 yards, course rating 70.1, slope rating 131. Red tees: 5,322 yards, course rating 72.1, slope rating 129. This is a wonderful course. Layout, conditions, pace of play and staff were all top notch. This was my first visit here, so I used a caddie and he was a tremendous help, especially on the tricky, undulating greens. You need to hit a straight ball on this course, otherwise it could be a long day for you. Fortunately, I stayed pretty much on course, keeping my score around 90. A typical links course. If you miss a fairway by 5 yards, you lose your ball. Very beautiful and well kept. My son and I played in 3.5 hours and only saw about 8 other people on the course, on a Friday, mid-day. Our day was very windy and the greens had been punched earlier in the week. My index is 14 and I shot over 100 for the first time in years. Views are amazing. Course can be unforgiving if you are not striking the ball well. This is one magnificent course. Great views and an overall blast to play. Make sure to grab brakfast or lunch, then a drink afterwards in the bar. The ambiance is well worth it! Beautiful day, no wind helped; but first time players need a guide or resident player in order to score decently. 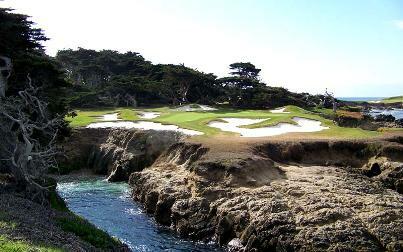 When the wind comes up on this beautiful coast, the best place to play is the well-stocked 19th Hole. Was able to score a deal to play here and not pay the $220 normal rate. It's a course that will bring you to your knees if you spray it around. Big hitters can leave their driver at home. GORGEOUS views of the Pacific and 17 Mile Drive. Very memorable. This is the best course that I have ever played. It has everthing you could want it a golf course / golf experience. I loved the course although it humbled me. It is absolutely beautiful. 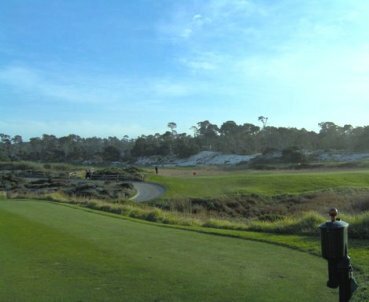 If I never get to play Pebble Beach Golf Links it wouldn't bother me because this course is just as beautiful and just as well maintained. And the staff make you feel important. It is simply immaculate and first class. 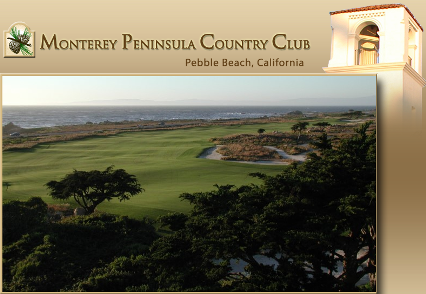 A fine course worthy of the Pebble Beach area.